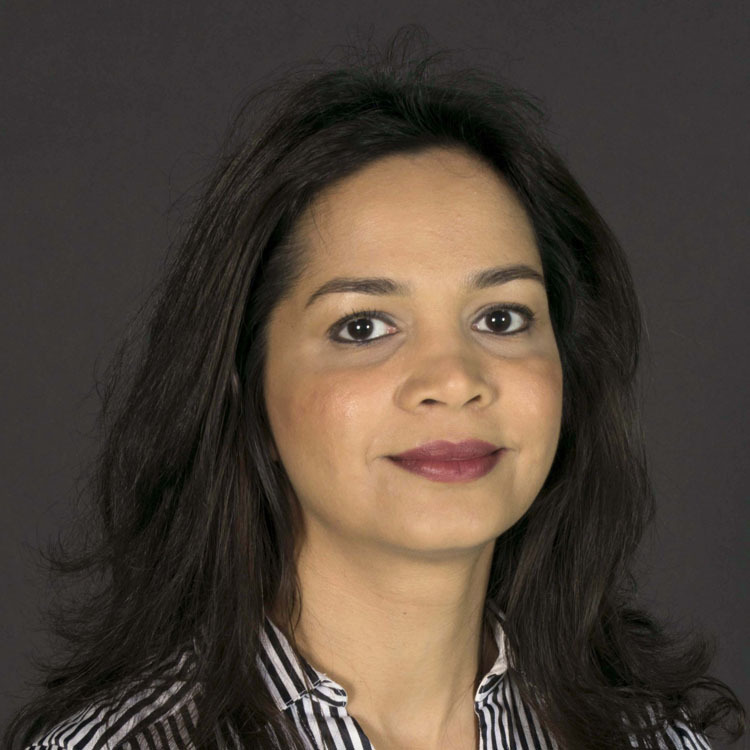 Layla Bashir Larsen has a joint post as a Lecturer in the School of Engineering and Digital Arts, University of Kent and as a Clinical Engineer for the East Kent Hospitals University NHS Foundation Trust. She received her B.Eng. (Hons.) degree in Medical Engineering from Bradford University, her M.Sc. in Biomedical Engineering from the University of Surrey and her Ph.D. in Microengineering from the University of Birmingham. Dr Larsen is a registered Clinical Scientist in the field of Clinical Engineering. Prior to working in Kent, Dr Larsen was a post doctoral researcher at the Department of Micro and Nanotechnology, Technical University of Denmark. Here she worked on a multidisciplinary EU project titled Nanobio4Trans, focussing on the development of an extracorporeal bioartificial liver by integrating stem cell, microfluidic, polymer and sensing technologies. For her PhD at the University of Birmingham, she worked on the development of MEMS-based biomimetic tactile sensors for artificial finger applications. She has previously worked as a Clinical Engineer for the South Birmingham Primary Care NHS Trust, conducting assessments of people with physical disabilities for provision of electronic assistive technology. Dr Larsen currently has a varied role within the Clinical Engineering modality covering medical device governance, working as a clinician for the Kent and Medway Communication and Assistive Technology Service and carrying out research in the interface of healthcare and engineering. Her research interests include tissue engineering, biomimetic sensors and control and interfaces of assistive technologies. Starokozhko, V. et al. (2018). Differentiation of human-induced pluripotent stem cell under flow conditions to mature hepatocytes for liver tissue engineering. Journal of Tissue Engineering and Regenerative Medicine [Online] 12:1273-1284. Available at: https://doi.org/10.1002/term.2659. Hepatic differentiation of human?induced pluripotent stem cells (hiPSCs) under flow conditions in a 3D scaffold is expected to be a major step forward for construction of bioartificial livers. The aims of this study were to induce hepatic differentiation of hiPSCs under perfusion conditions and to perform functional comparisons with fresh human precision?cut liver slices (hPCLS), an excellent benchmark for the human liver in vivo. The majority of the mRNA expression of CYP isoenzymes and transporters and the tested CYP activities, Phase II metabolism, and albumin, urea, and bile acid synthesis in the hiPSC?derived cells reached values that overlap those of hPCLS, which indicates a higher degree of hepatic differentiation than observed until now. Differentiation under flow compared with static conditions had a strong inducing effect on Phase II metabolism and suppressed AFP expression but resulted in slightly lower activity of some of the Phase I metabolism enzymes. Gene expression data indicate that hiPSCs differentiated into both hepatic and biliary directions. In conclusion, the hiPSC differentiated under flow conditions towards hepatocytes express a wide spectrum of liver functions at levels comparable with hPCLS indicating excellent future perspectives for the development of a bioartificial liver system for toxicity testing or as liver support device for patients. Mohanty, S. et al. (2015). Fabrication of scalable and structured tissue engineering scaffolds using water dissolvable sacrificial 3D printed moulds. Materials Science and Engineering: C [Online] 55:569-578. Available at: http://dx.doi.org/10.1016/j.msec.2015.06.002. One of the major challenges in producing large scale engineered tissue is the lack of ability to create large highly perfused scaffolds in which cells can grow at a high cell density and viability. Here, we explore 3D printed polyvinyl alcohol (PVA) as a sacrificial mould in a polymer casting process. The PVA mould network defines the channels and is dissolved after curing the polymer casted around it. The printing parameters determined the PVA filament density in the sacrificial structure and this density resulted in different stiffness of the corresponding elastomer replica. It was possible to achieve 80% porosity corresponding to about 150 cm2/cm3 surface to volume ratio. The process is easily scalable as demonstrated by fabricating a 75 cm3 scaffold with about 16,000 interconnected channels (about 1 m2 surface area) and with a channel to channel distance of only 78 ?m. To our knowledge this is the largest scaffold ever to be produced with such small feature sizes and with so many structured channels. The fabricated scaffolds were applied for in-vitro culturing of hepatocytes over a 12-day culture period. Smaller scaffolds (6 × 4 mm) were tested for cell culturing and could support homogeneous cell growth throughout the scaffold. Presumably, the diffusion of oxygen and nutrient throughout the channel network is rapid enough to support cell growth. In conclusion, the described process is scalable, compatible with cell culture, rapid, and inexpensive. Canali, C. et al. (2015). An impedance method for spatial sensing of 3D cell constructs – towards applications in tissue engineering. The Analyst [Online] 140:6079-6088. Available at: http://dx.doi.org/10.1039/C5AN00987A.